I realize that my new blog’s product offerings are already a bit baby-centric, but as I write this my 8-week old is smiling at me from her bouncer, so there is no point in pretending I’m thinking of much else. With that in mind a BIIIIIG shout out to Dr. Brown’s Bottle Warmer!! Without throwing too much information at you, I’m doing a combination of breast and bottle feeding these days so this gadget has been super handy. After several weeks of me screaming “MOVE FAST” to my poor Husband as he frantically tries to heat up a bottle under streaming hot water as our child screams bloody murder, my dear friend Katy mentioned they used a warmer that brought chilled milk to the right temperature in minutes. WHA???? Such a thing exists?? It does. And I love it. 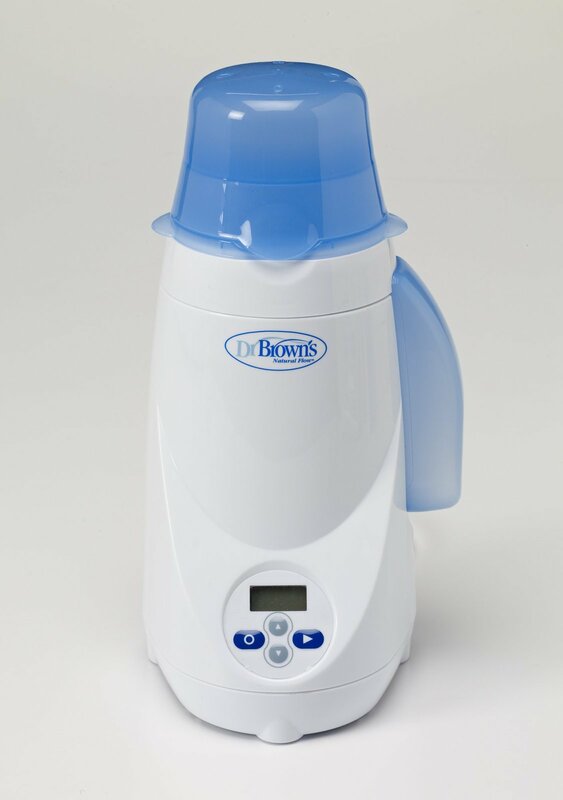 I chose the Dr. Brown’s model based on reviews and the fact that Dr. Brown’s bottles are the very best – our child has GERD, and they really help with the reflux. I also love that it will eventually heat up jars of food as well, so you’re not investing in something that you’ll only use for a few months. So now in just 2 to 3 almost stree-free minutes our daughter’s bottle is ready to be devoured with massive force. Is there a gadget that changes poopy diapers as easily? This entry was posted in Baby and tagged baby, totally recommend. Bookmark the permalink. Wish I had one of those ahhhh…about a million years ago!